LOOKING FOR THAT OLD PIECE OF SHEET MUSIC? Whether it's to play, sing, frame or collect, yesterday's songs are more than memories. Discover them anew amongst our lists of pre-owned sheet music, historical links with the past via the popular song. Simply look for a song title, (arranged in alphabetical order,) by the appropriate decades of copyright or publication i.e. pre.1920s, 1920-50s, 1950s, 1960s, 1970s, 1980s or later. There is also a section devoted to French sheet music. Composer, lyricist, singer and front cover information is included. The lists can be accessed easily from the button marked stock. Please give the files time to load in your browser. 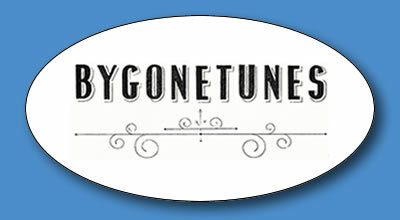 Bygonetunes is still strictly mail order so if you find something you might like to purchase, please use the contact button and fill in the form. We will respond promptly with availability, price, condition etc. and if you decide, you can pay for the item(s) using the Paypal button here too.